Leakage is the major factor for unaccounted losses in every pipe network around the world (oil, gas, water). In most cases the deleterious effects associated with the occurrence of leaks may present serious economical and health problems. Therefore, leaks must be quickly detected, located and repaired. Nevertheless, most state of the art leak detection techniques have limited applicability and are neither reliable nor robust; while other techniques depend on the experience of the operator. 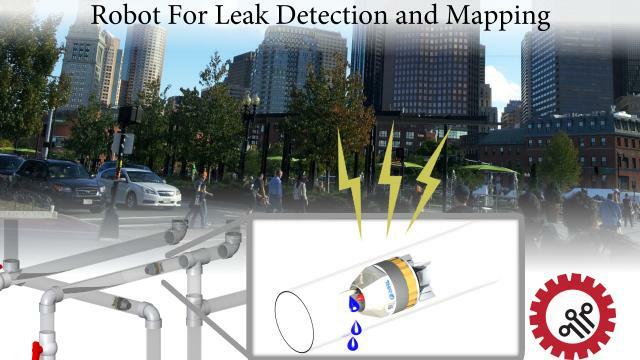 The proposed work deals with the design and development of a new leak detection sensor and instrumentation, suitable for liquid & natural gas pipeline inspection in harsh environments. The developed system will be more reliable, robust and power efficient than existing systems. In addition, most of the existing in-­‐pipe detection platforms are not suitable for complicated pipeline configurations and unpiggable pipelines. Thus, we plan to develop a maneuverable robotic platform for leak detection in complicated pipeline configurations. The final integrated system, while being completely autonomous, will be capable of robust leak detection and active maneuvering in harsh unpiggable pipelines for liquid and/or gas applications.